See more Feathered Soul Bracelets. We check over 450 stores daily and we last saw this product for $603 at Barneys New York. Feathered Soul's beige braided silk cord is punctuated with pear-shaped labradorite beads, sugilite rondelles, and faceted yellow-gold-filled brass cube beads. 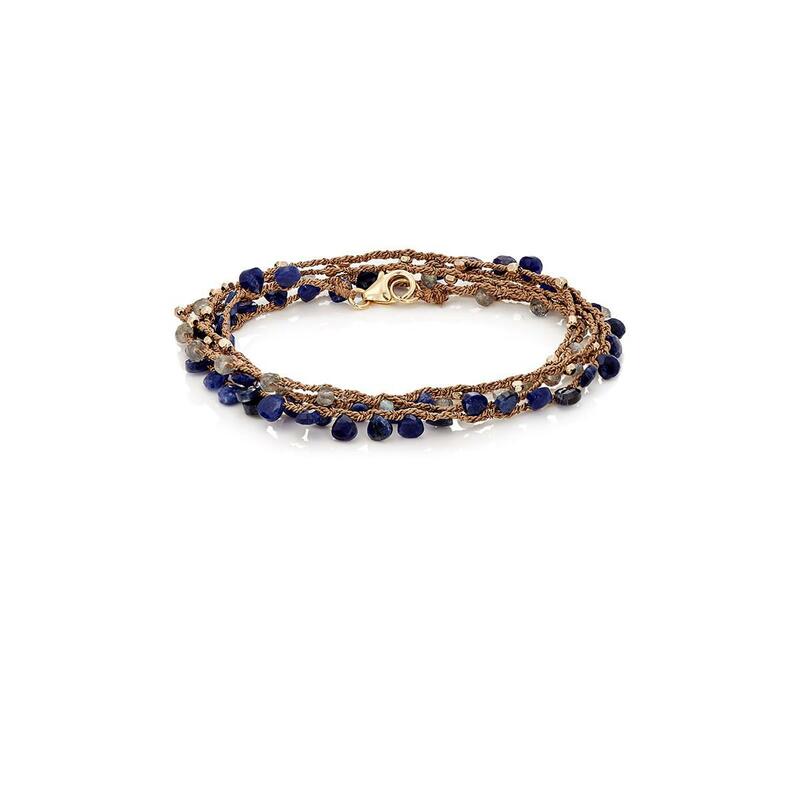 Handcrafted in Los Angeles, the versatile strand can be worn as a long necklace or wrap bracelet. Handmade. Cord: silk. Pear-shaped labradorite beads. Sugilite rondelles. Polished 14k yellow-gold-filled faceted cube beads. 2mm band width, 40" total length (approximately). Yellow gold lobster clasp.